If you've read S.L. Scott's Kingwood duet, which is composed of Savage and Savior, then you should be more than familiar with Cruise Cristley, best friend to Alexander Kingwood IV. He stood by Alex's side through everything his closest friend went through as Alex and Sara Jane Grayson made their way to their much deserved and well-fought for happily ever after. Now, Cruise gets his chance at his own happy ending, one that he shares with Clara Eckerd, in Sacred, the second spin-off slash companion novel to the Kingwood duo, preceded by the recent release, Solace. Cruise may have a great deal in his life--things that other people wish they could easily have as well--but there's something missing from it as well. He isn't just alone; he's lonely, and it's a loneliness that feels as if it's a gaping hole in his life. If he's being totally honest, he wants what his best friend has, but does he deserve it? Then Clara comes along, and she doesn't merely fill in the loneliness--she makes him want to believe in love and happy endings. And just when they both thought that that's where they were headed, their past decides to wreak havoc. 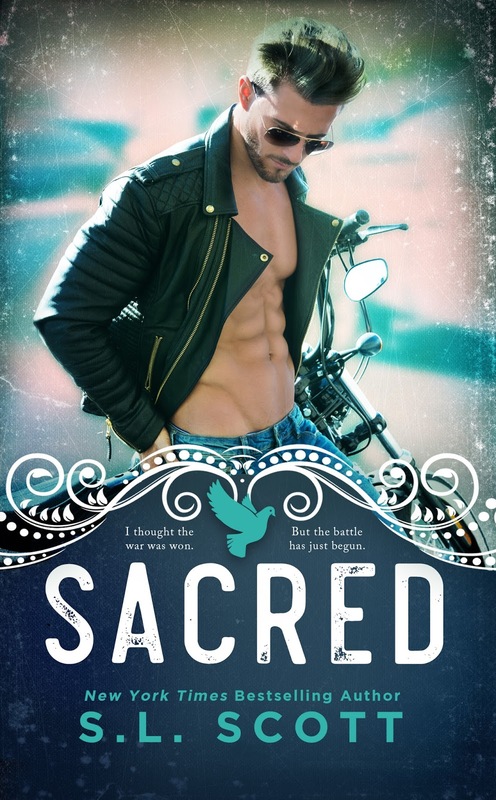 I know I mentioned in the beginning of my review that this book is a spin-off of the author's previously released duet, but that doesn't mean that you can't read Sacred without having read Savage and Savior. That's one of the great things about both Solace and Sacred; either one of these spin-off books can absolutely be read as standalones. However, allow me to highly recommend that your read the other books as well, and here are the two reasons why: they'll provide you with a more well-rounded reading experience AND they're all fantastic reads.